The Iowa Girls High School Athletic Union finished up their basketball season over the weekend with State Championship games on Friday and Saturday. In the Class 1A Final, Turkey Valley played Springville on Friday in a re-match of last year’s State Title Game. Once again, it was Springville who won it, this year by a final score of 45-36. In the 2A Championship, also on Friday night, Western Christian defeated Treynor 51-48 to claim the title. In Class 3A, Pocahontas Area blew out Siouz Center 61-38 on Saturday. North Scott defeated Marion 50-42 in overtime to win the Class 4A Championship, and in 5A it was West Des Moines Valley winning over Cedar Falls 71-59. 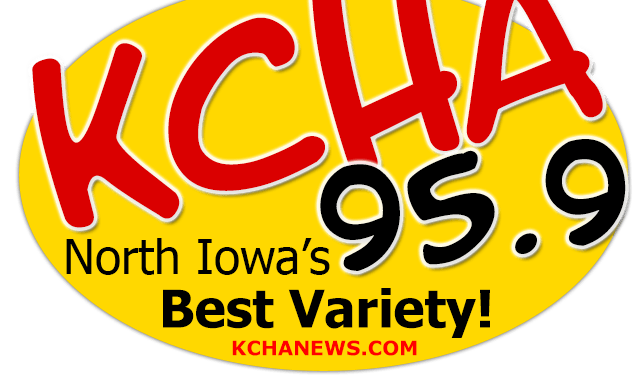 In a game heard right here on KCHA on Friday night, the Iowa State Cyclone Men’s Basketball Team concluded their regular season with a Big 12 match-up against West Virginia in Morgantown. It was a one-point game at halftime as the Cyclones trailed 43-42 at the break. Iowa State hit a rough patch to begin the second half and couldn’t climb out of that hole and lost by a final score of 87-76. The Cyclones finish their season with an overall record of 20-10 and they finish the Big 12 season in fourth place with a league record of 12-6. They will take on Oklahoma State in the Big 12 Tournament Quarter-Finals on Thursday at the Sprint Center in Kansas City. The Charles City Men’s Bowling Association held its City Tournament over the past couple of weekends with over 100 Men competing. Farm Bureau won the team title and that team consisted of Ron Crooks, Brandon Rippentrop, Tyler Brockney, Dave Brockney and Jesse Gifford. In the doubles competition, Tony Slinger and Todd Koenigsfeld took home the title in Division A and John Ayers and Gary Finger were the champions in Division B. In Singles, Rick Burcham won the Division A title and Brody Stone won first in Division B. There were some excellent individual scores during the tournament as Scott Girkin had a 300 game on Wednesday night. Tyler Brockney had a 752 series on Thursday night, Gifford had a 730 series on Thursday night, Stone had a 714 series, and Slinger had a 708 series. The complete results will be available at the Comet Bowl this afternoon.